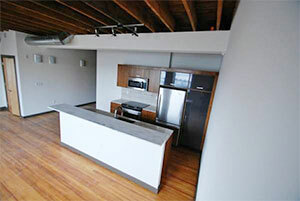 We offer stunning, modern and sustainable apartments for rent in historic Richmond neighborhoods. Our apartments are quite simply as well-built and beautiful as any in the Richmond market. We also take pride in our responsive and professional property management. We respond quickly and professionally to our tenant concerns. Because of these qualities, we consistently retain our tenants and our vacancy rates are among the lowest in the Richmond apartment marketplace. Our Richmond apartments offer a variety of amenities and features. If you have an interest in renting a unique and beautiful apartment in Richmond call us today at (804) 612-3691. 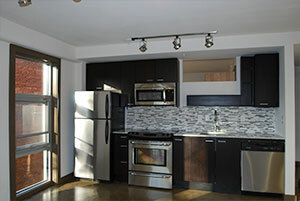 Urban Dwell Property Management is Richmond’s most “hands on” property management firm. We have been growing rapidly based on our superior customer service and attention to detail. We offer a stress free renting experience for our tenants from your first visit to our properties, through any property maintenance needed during your stay, and a pleasant move-out experience unlike any other. We are equipped with our own maintenance staff which enables us to get any repair items or maintenance requests addressed within 24-48 hours. We also provide 24-hour on-call emergency maintenance services. Multi-Family Residential real estate needs constant attention and dedicated management. Our firm is structured to provide these services with unsurpassed quality and a personal touch you will not find anywhere else in Richmond. We manage homes and apartment buildings throughout the Greater Richmond area providing high quality and responsive professional property management. The experience and professionalism of our employees ensures high retention of tenancies. Our leasing services get results! We identify the most attractive potential tenants of a property and go directly to them. A well-maintained property creates the best impression, ensures the longevity of quality tenancies, and reduces your operational costs. We provide sustainable solutions that exceed expectations. Urban Dwell employs a devoted group of landscape professionals who strive to provide a pleasant and relaxing atmosphere for your rental tenants. We ensure that your properties blend beautifully into the natural landscape of our surrounding neighborhoods. We take great pride in the appearance and beauty of our managed grounds. Looking for an apartment? Discover the difference that Urban Dwell makes with modern, urban, sustainable living. Or call 804.612.3691 to get more info.